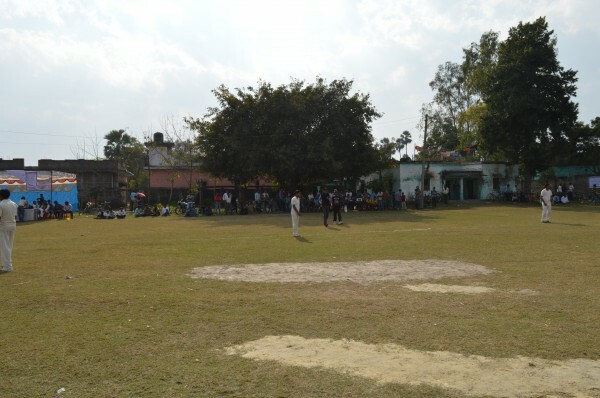 First match of Khan Memorial Cricket Tournament was played between two block level team Agarwan and Tamkohi Raj on 15th of Dec 2014 at Nehru Inter college Tariya Sujan, Kushinagar District. The match started at 12 P.M, delay was due to late night rain. 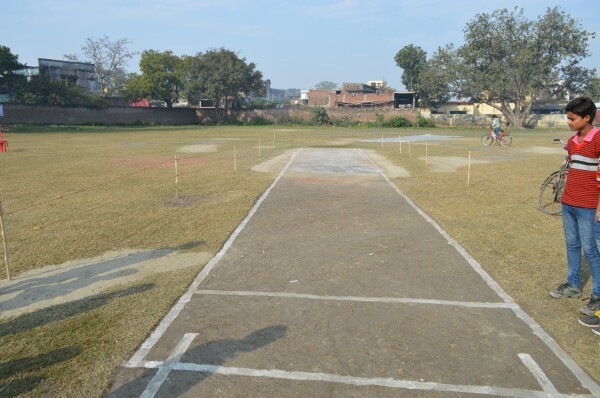 The toss was won by Meraj Khan captain of Awarwan and he elected to bat on a fast pitch. Awarwan lost as many as 5 wickets in 6 overs power play and only could muster 40 runs in but their middle and lower order batsmen made sure that they team reached a respectable total. 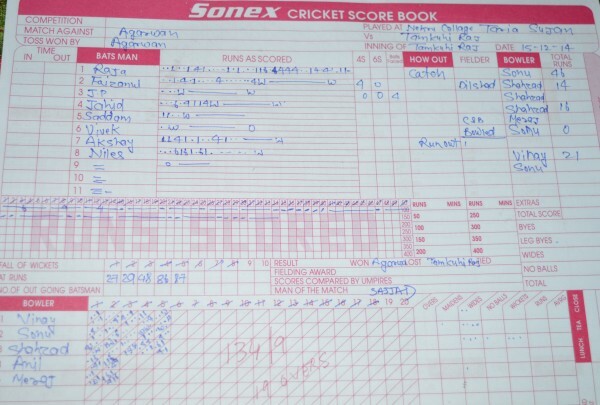 Awarwan scored 158 runs in the quota of 20 overs . 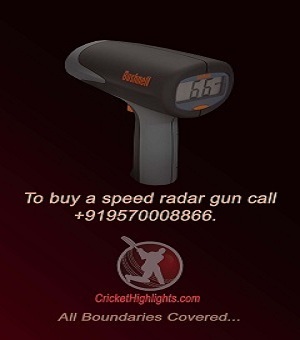 Tumkohi Raj has to chase this target in 19 overs as they were penalized for not wearing proper cricket kit. Tumkohi Raj could only manage 134 runs in 19 overs and lost the match by 24 runs. Man of the match was awarded to Md. Shazzad for his brilliant bowling and hard hitting. Shazzad took 3 wickets and scored 17 quick runs for his team Awarwan. Below are the images from the match. 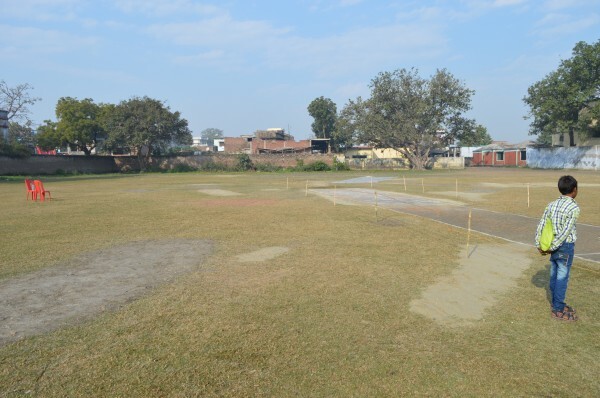 Preparation of Pitch for first match to beginning. The Picth Prepared by Azad Khan (Sonu). Chief Guest Haji Meraj Khan and Lalji Rai meeting the Players. Crowd is building for the first Match estimated 500 people have come to watch the match. 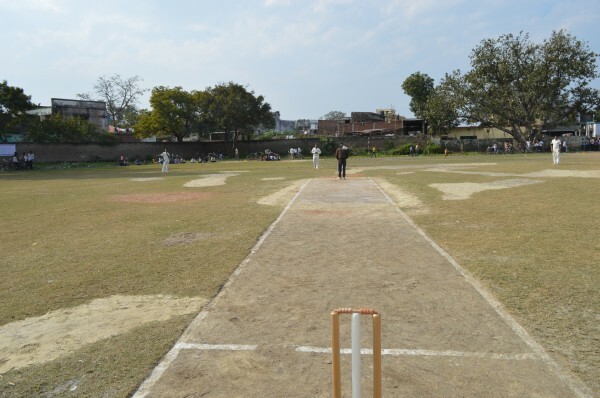 First match of Khan memorial Cricket Tournament 2014 under play. 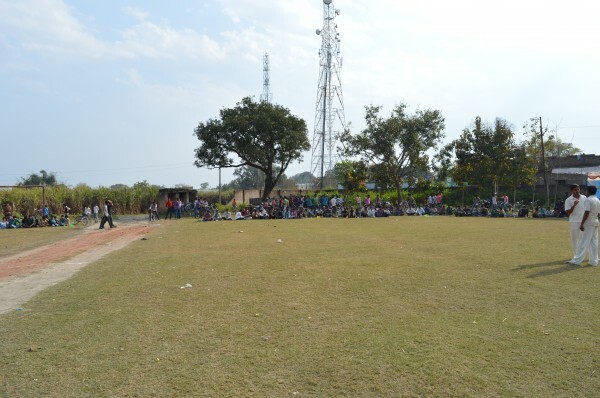 Over 500 people have come to see the match. 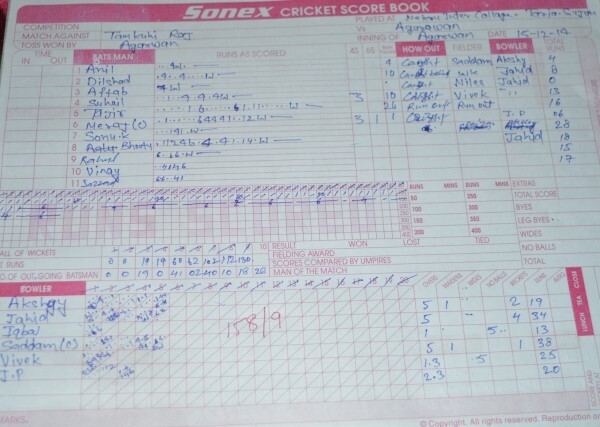 Score card of Tamkohi Raj. From the left Javed Khan, Sunny and Azad Khan ( Sonu) retreating after day long hard work. 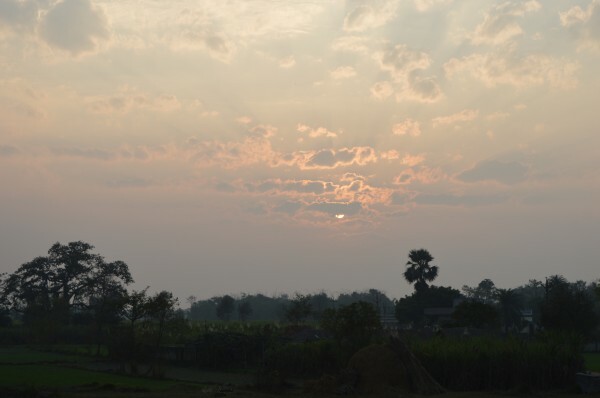 The sun is setting over the ground marking the end of the day.